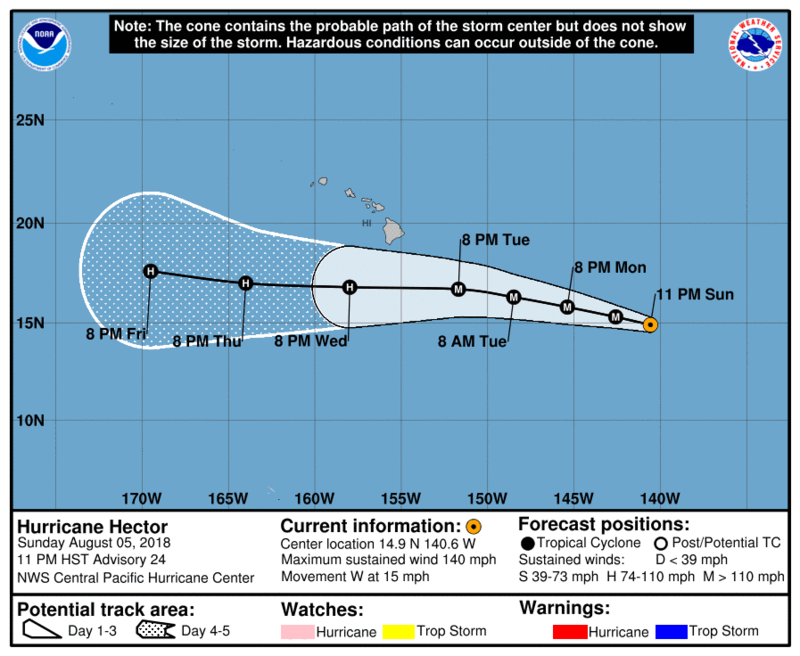 Hurricane Hector is a powerful category four storm with sustained winds of 140 MPH as it entered the central Pacific basin on Sunday night. The hurricane will likely remain south of Hawaii as it makes its closest approach this weekend, but a small northward change in its track could bring dangerous conditions close to the islands. Hector is downright impressive on satellite imagery today. Its appearance reflects its strength. The storm has a solid eye, thick core, and good outflow. It's unsettling to see a storm this strong in any ocean basin let alone moving in the general direction of heavily-populated islands. The hurricane will make its closest approach to the Hawaiian Islands between Tuesday night and Wednesday night. Most strong storms in the past that have moved through Hurricane Hector's current location stayed south of the islands and it looks as though this one will do the same. Assuming Hector stays south as forecast, the greatest threat to the islands will be rough surf and rip currents. The hurricane's track depends on the strength of a ridge of high pressure to the north of the Hawaiian Islands. The outer edge of a high acts like a guardrail for hurricanes, steering them along the outer periphery of the ridge. A stronger ridge will steer Hurricane Hector farther south of Hawaii, while a weaker ridge will allow the storm to track farther north and closer to the 50th state. If the ridge turns out to be weaker than forecast and Hector jogs north, dangerous conditions can't be ruled out on the Big Island on Wednesday. The Central Pacific Hurricane Center—the NHC's counterpart in Honolulu—expects that the hurricane is at or very near the strongest it'll get this week. Dry air from the north is starting to wrap around the hurricane and will soon start chipping away at its organization, forcing the storm to slowly weaken as it makes its closest approach to Hawaii. 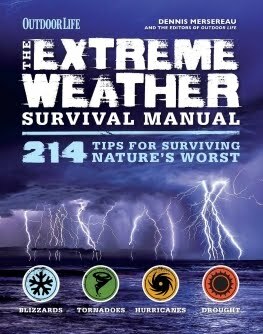 The close approach of a hurricane is the last thing Hawaii needs at the moment. The May 3 eruption of Kilauea on the southeast coast of the Big Island destroyed entire neighborhoods and the lava flow is still going three months later. A large wildfire also broke out on the island of Oahu this weekend, consuming at least 5,000 acres of land and several homes.